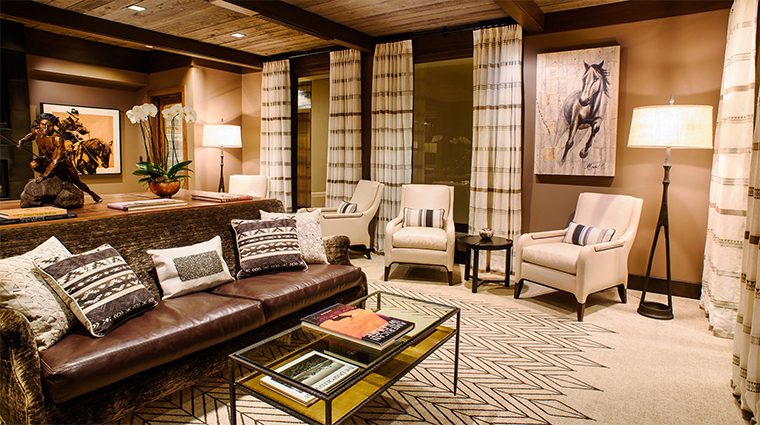 Steps away from Jackson’s lively town square, deep in the urban core, Hotel Jackson blends bright, light-filled spaces with rustic mountain accents in a prime location near the area’s best restaurants and shops. A local family opened the hotel in 2015, seeking to share the beauty and vitality of their beloved Jackson. Stacked stone, rusted metal and reclaimed barn wood create a clever multi-textural aesthetic throughout the building, and the owners lovingly handpicked much of the décor – from the original Western-themed art in the lobby to the chic chandeliers in the Mediterranean-inspired Figs restaurant. 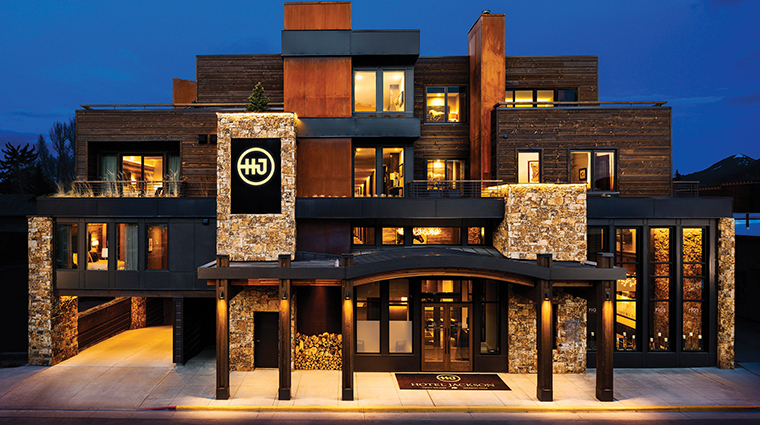 If you love textural contemporary style, hip Hotel Jackson makes an ideal mountain base in the heart of downtown. 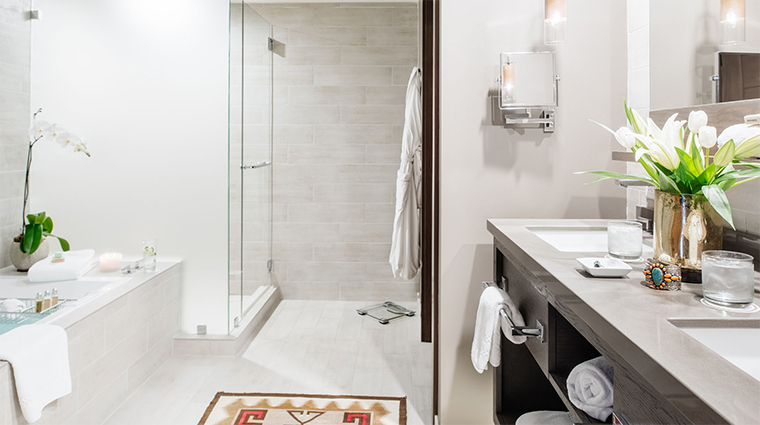 Featuring views that stretch over Jackson’s skyline and out to the surrounding mountains, the 58 serene guest rooms and suites seem much larger than they are, thanks to thoughtful design features. 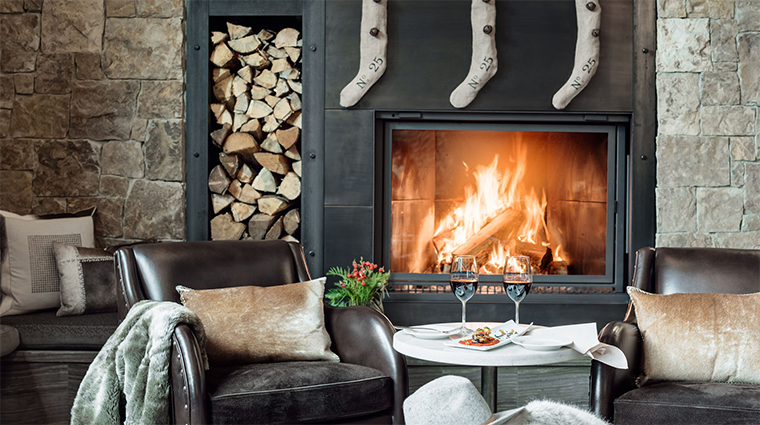 Flooded with natural light and warmed by a wood-burning fireplace, Figs restaurant and its cozy corner bar occupy much of the open-plan lobby. No ski town escape would be complete without a mountain-view Jacuzzi, and the Jackson hotel ticks the box with a rooftop version, where you can soak in hot, bubbly bliss. In the multipurpose library, modular tables and plush velvet and leather sofas encourage you to mingle for cocktails or curl up with a book by the gas fireplace. Hotel Jackson also offers complimentary shuttles to the legendary Jackson Hole Mountain Resort, one of North America’s top ski resorts, which is only 15 minutes away. The six stylish suites add extras like expansive mountain-view decks and velvet sectional sofas in the living rooms. 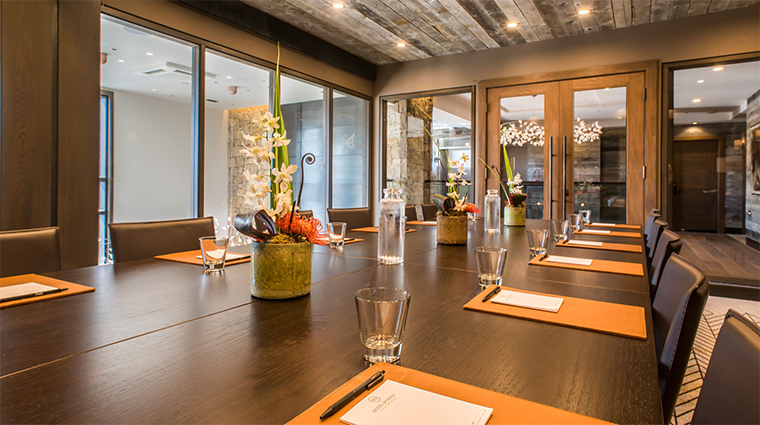 A glass-walled business center is available for corporate soirées on the mezzanine level. 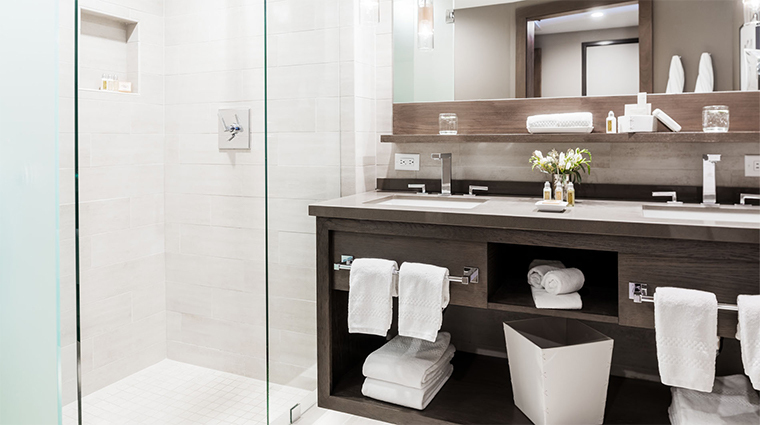 Other welcome extras include a state-of-the-art gym and temperature-controlled underground valet parking. 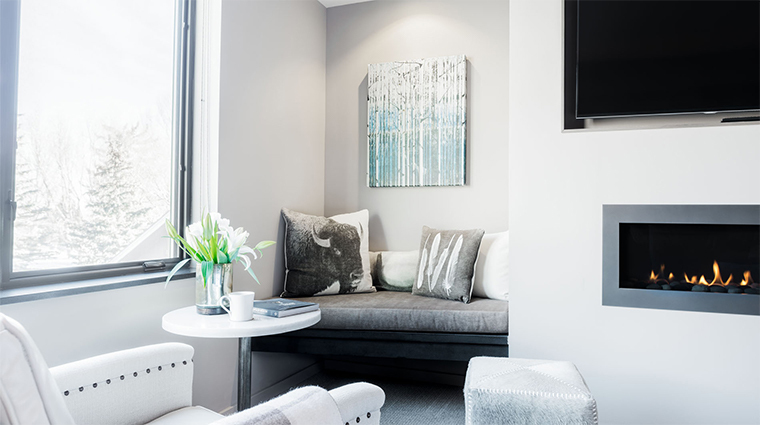 Standard features in every room include gas fireplaces, 48-inch flat-screen smart TVs, Geneva sound systems and Nespresso coffee machines. 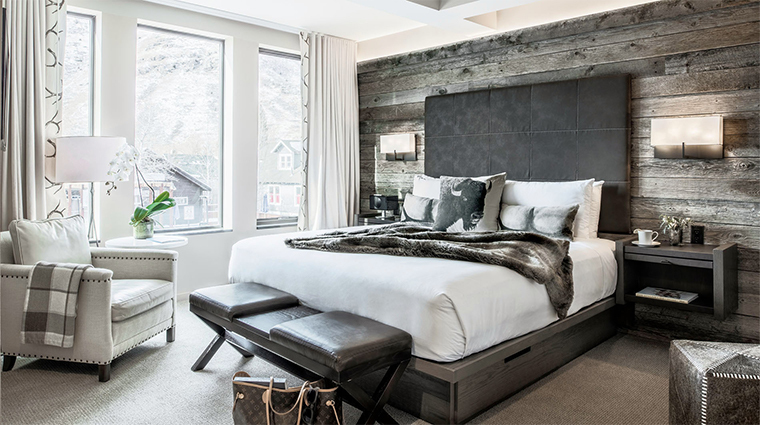 The accent walls, clad in silvery reclaimed woods, echo the luxury hotel’s mountain-town setting. Storage hides in custom-designed benches and under king or queen beds. 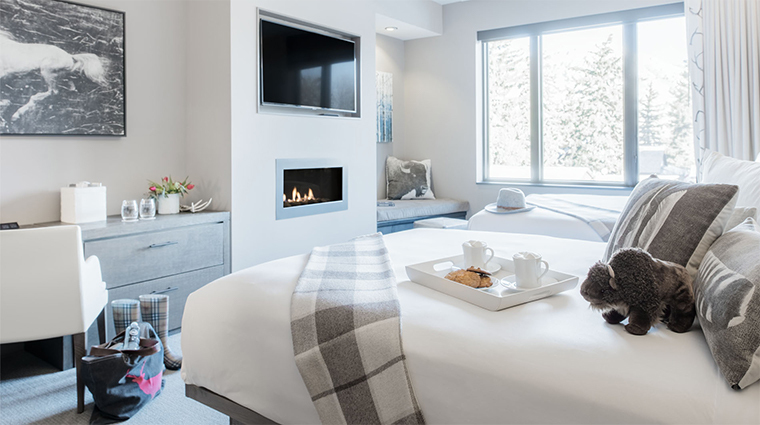 You’ll have no problem sleeping off a hard day’s hiking or skiing here on comfy beds topped with crisp, white linens and Italian-wool throws. Bathrooms come with sensor lights, L’Occitane toiletries, Turkish cotton towels, and dual sinks, and most have deep soaking tubs. 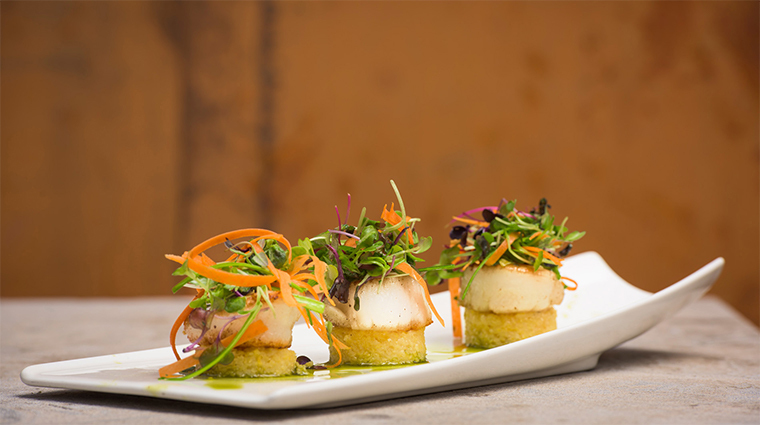 The eclectic menu at Figs spotlights Mediterranean and Middle Eastern favorites like mezze platters, black kabuli falafel and lamb kibbeh, as well as fattoush and saffron couscous salads. 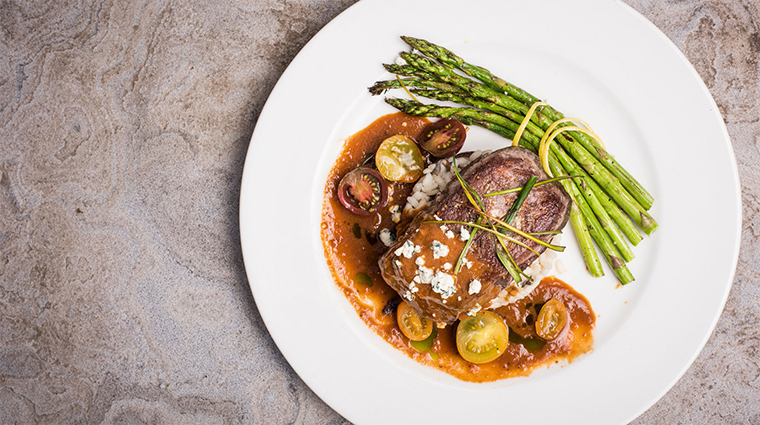 Whenever possible, the signature restaurant also features locally sourced organic products (think dry-aged bison burger and elk loin with beets, berries, juniper and cocoa). The dessert menu follows the same Mediterranean theme with creations such as phyllo and rhubarb turnover with black pepper ice cream and pistachios. In summer, the sun-soaked deck at Smokin’ Iron, Hotel Jackson’s barbecue restaurant, serves up succulent meats on chunky wooden chopping boards. 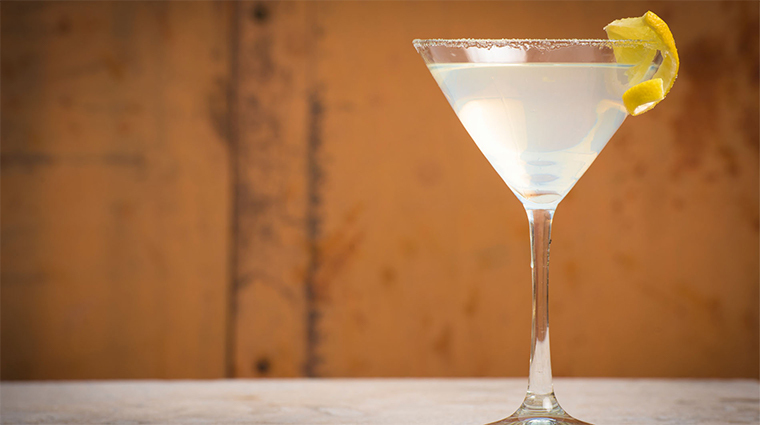 Its full-service bar and fire pit add to the casual outdoor appeal.